Cristin is from Iowa. 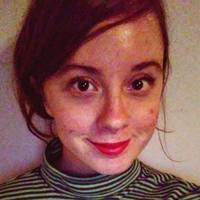 She's written essays, poems, blogs, product copy, meaningful letters, and of course, for Bushwick Daily. She likes to sever traditional angles. She may or may not be your server at 983 Bushwick's Living Room. on a community topic June Bar in Brooklyn Still Open?